17:30 - 18:15 - Brandon LaBelle presenting the book Sonic Agency: Sound and Emergent Forms of Resistance. Published in 2018 by Goldsmiths Press. 18:30 - 20:30- PanelTalk on questions of sound, listening and voice. On the podium: Karen Werner, sociolgist, soundartist, radio maker, Fouad Asfour, linguist, writer, researcher, Anamarija Batista, curator, art historian, Brandon LaBelle, artist, writer and theorist, professor for media art Bergen, Kristina Pia Hofer, researcher, lecturer, performer and musician, aka Radio- angewandte kunst audio (Huda Takriti & Hector Schofield). Moderation: Ricarda Denzer, artist and Senior Lecturer atthe University of Applied Arts Vienna. 19:00 - 23:00 - “Acoustic Club Workshop” , performances with invited guests. 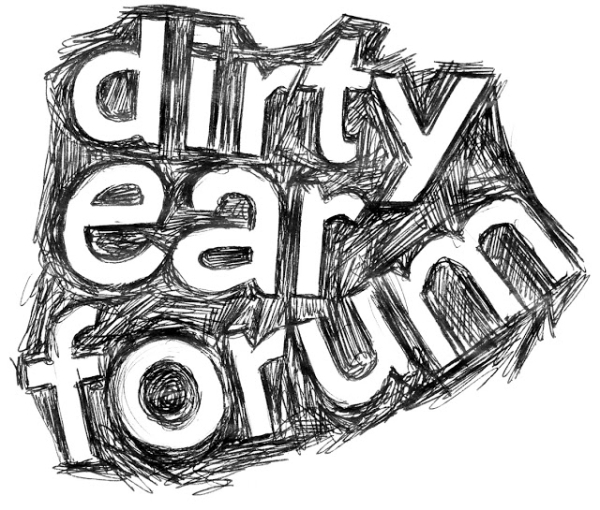 This edition of the Dirty Ear Forum aims to consider acoustics as a political question which impacts onto who or what is heard within given environments. Acoustics will be captured as a performative framework to collectively experiment with sonic materiality, voice and musical expression, and discourses around urban life and social struggles. In particular,the notion of a “liquid acoustics” will be mobilised. Liquid acoustics is understood to enable the circulation of the unheardor the bounded: A sonic liquidity that adapts to given conditions in order to cross borders, bypass obstacles, and leak into cracks and crevices. Liquid acoustics may flood the designated arenas of speech with an excess of meaning, laughter, sharing,or through a silence that resiststhe dictates of the properly spoken. Extending from Zygmunt Bauman’s concept of “liquidmodernity”, the Forum will contend with the potentialities and problematics of our contemporary liquid state. This will take place through a series of mini-workshops and shared discussions with participants in collaboration with University of Applied Arts Vienna, as well as through the presentation of events under the heading “experimental research club” held at the Arena Bar. These sessions will adopt the situation of the Bar as a performative space for types of research action, including the staging of materials developed in the Forum, performative works by invited guests, and the crafting of anexperimental sociality. Dirty Ear Forum is an ongoing artistic platform initiated in 2013 by Brandon LaBelle. This edition is organizedbyRicarda Denzer and Brandon LaBelle in collaboration with participating artists and researchers, including: Karen Werner, FouadAsfour, Kristina Pia Hofer, aka -angewandte kunst audio, Anamarija Batista and Jelena Petrovic. Additional collaboration with Art and Communication Practices (KKP) University of Applied Arts Vienna, and Kunstradio.